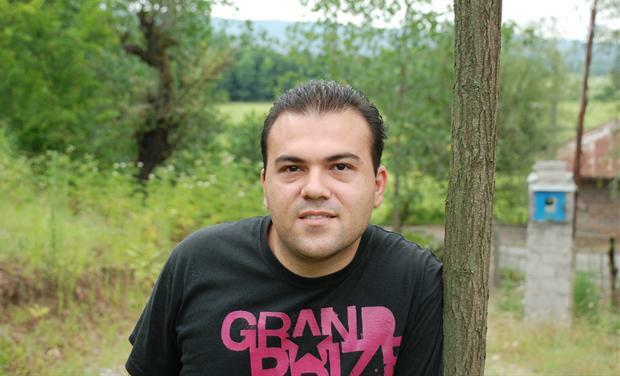 An undated photograph of jailed U.S. Pastor Saeed Abedini, before his arrest by Iranian authorities min 2012. Pastor Joel Hunter, known as President Barack Obama's spiritual adviser, engaged in some spiritual diplomacy during a recent visit to Iran. He also raised the case of jailed American Pastor Saeed Abedini with officials in Teheran. He conveyed a message from Iranian President Hassan Rouhani to the White House, Voice of America reported on June 12. "I probably shouldn't have brought that up at all," Hunter, a senior pastor of Northland Church in Florida, said in an interview with VOA's Persian service. "That was a message given to me in privacy, so I can't tell you any more about it." Rev. Hunter raised Saeed Abedini's case with Iranian officials, the American Center for Law and Justice (ACLJ), says on its website, also citing an interview with the BBC's Persian service. Hunter stated that he "specifically" discussed Pastor Saeed's case "with the right person and in the right environment," asking "the Iranian government for clemency." The BBC reporter asked Hunter about his actions regarding Abedini during his visit to Iran. "It was actually one of our main goals in this trip to create such a different environment which would include giving more leeway to different religions. "Now that we have this connection, we were able to discuss these prisoners, specifically in regard to Pastor Saeed Abedini. "It was because of this dialogue that we were able to ask the Iranian government for clemency for him and we were able to bring this up with the right person and in the right environment. "This opportunity was provided to us by the Iranians themselves and it did not happen because of any pressure from us. In general, these dialogues help these prisoners a lot." Naghmeh Abedini, the wife of jailed Iranian-American Pastor Saeed Abedini told Ecumenical News in February that she believed it was a good time for the United States to pressure Iran to release her husband. Saeed Abedini was born and raised in Iran then move to the United States. In 2000, he "exercised his God given right" and chose Christianity, his wife said. "This is a welcomed development that keeps Pastor Saeed's case in the public eye. It also sends an important message to Iran – It is time to free Pastor Saeed, a U.S. citizen, so he can return to his family in the United States," said the ACLJ. The 33-year-old Idaho resident, who has served one year of an eight-year prison term in Iran for practicing his Christian faith. Pastor Saeed's wife Naghmeh stated, "I am thankful that our government is discussing religious freedom issues in Iran and Saeed's freedom. This is great news for Saeed and for the Iranian people. This development is very encouraging and I remain hopeful that the United States will continue to raise Saeed's case with Iran. We continue to pray for his freedom." More than 285,000 people have joined the call for clemency for Pastor Saeed, said the ACLJ. Next month will mark two years since he was first arrested in Iran for his Christian faith.